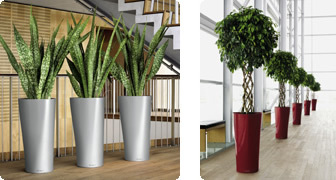 expertise to provide the perfect pot to enhance your plant and office decor design. Our collection of pots will delight and astound. 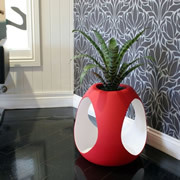 We stock lechuza pots, Karaka (spun aluminium), Tambour Verdes and many more! and even show you a few tricks of the trade!! Choose your pot, choose your plant & we will pot it for you. Delivery and installation with decorative stones available. The use of pots and containers dates back as far as the Neolithic Age. and adorn our homes and gardens to this very day! They come in every shape and colour, and from every corner of the world. 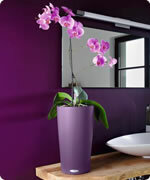 Sometimes a feature pot is the only ambience you need!